My favorite non-toxic house hold cleaning products I use to have a safe toxic-free and chemical free home! 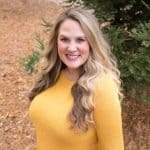 Along with eating clean, it’s important to me to have a completely toxic free and chemical free home To support a healthy living and natural environment for me and my family. In the above video you can watch me share and explain my love for my favorite household cleaners that I love. Originally created for my Instagram Stories. Use code TASTESLOVELY for 15% off any Branch Basics Starter Kit or Laundry Kit! 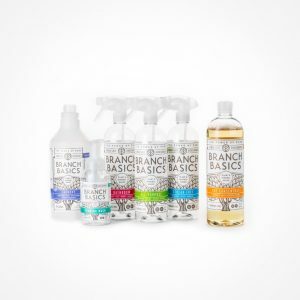 There are tons of non-toxic cleaning options out there, but Branch Basics is by far my favorite! All you need is 1 concentrate bottle and you use the same concentrate to make your all-purpose cleaner, bathroom cleaner, streak free glass and mirror cleaner, and laundry soap! 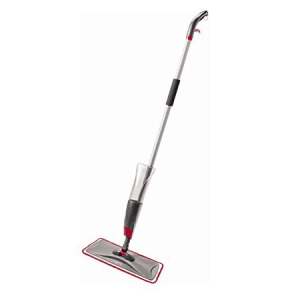 The cleaner is plant and mineral based so it is completely safe to use, especially if you have little kids. The concentrate is non-gmo, free of all harmful preservatives, and fragrance free. Best of all, it works! My laundry comes out squeaky clean (which is saying a lot since I have a 3 year old and 8 month old). My counters and floors and mirrors have never looked better! I never stress when my baby is crawling on my newly mopped floors since it is such a safe cleaning product. I recommend starting out with the starter kit. It comes with all the empty bottles you need. After that, you’ll only need to order the concentrate and refill the bottles you have. Each bottle has a fill line of how much water and concentrate you need to add. It is fragrance free, but I love adding in essential oils to keep my house smelling fresh as I clean it. My favorite combo is 10 drops of orange essential oil and 10 drops of peppermint essential oil. But use whatever combo you like best! To save even more money, I signed up for their subscription service. 1 bottle of concentrate is enough to last me for 3 months worth of cleaning and laundry (the laundry uses a majority of my concentrate, doing a lot of laundry over here with 2 little kids!). It is cheaper, and I don’t have to keep on top of ordering it. Just automatically arrives every 3 months. Yea! To be honest, I don’t have the best luck with the concentrate as a dishwashing detergent, and I don’t use their oxygen boost because I find baking soda to do the same thing and it’s much cheaper. More on baking soda below. I no longer use dryer sheets since they contain toxic chemicals and synthetic fragrance. 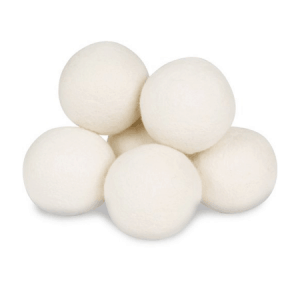 Instead I use these reusable dryer balls and they work great! They get my clothes dry much faster. And the wool keeps the clothes soft and fluffy. It took some getting used to not having any “scent” to my laundry from dryer sheets, but now I prefer it! They come out smelling “fresh” rather than overly scented. 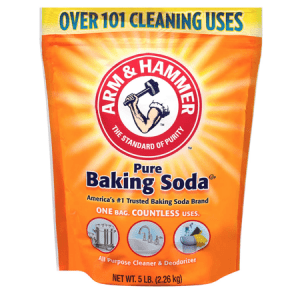 I use baking soda for 3 main cleaning purposes: as a spot removal for clothes and furniture, as a stain lifter and scent remover with my laundry, and as a stain remover on my enamel cast iron cookware. To use it as a spot remover for clothes and furniture, mix 1 part water with 1 part baking soda. Stir to make a paste, and rub on stained clothes or furniture. To give your clothes an extra cleaning boost, and to remove a ton of bad smells (I’m talking about you gym clothes! ), add in 2 tablespoons of baking soda into your washing machine on top of the clothes before starting your laundry cycle. To remove the brown marks on your enameled cast iron cookware, sprinkle in baking soda with a few drops of water, rub with a scrub brush, and watch the brown stains disappear! 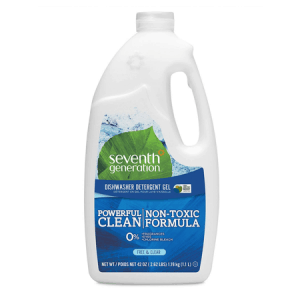 This is a toxic-free, chlorine free bleach that works! 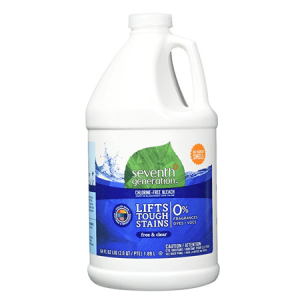 Lifts stains and keeps whites AND colors brighter. It doesn’t have a bleachy smell at all. I add this to every load of laundry I do, whites or colors. My dishes come out squeaky clean! No streaks or smudges or spots. I love that this is plant based and free of petroleum. I used to love my Swiffer Wet Jet, but don’t love their toxic formula. My clean living swap out has been this mop with branch basics! I use a 5:1 water to concentrate ratio, along with some drops of orange essential oil and peppermint essential oil. My floors come out clean! Bonus is that the microfiber cloth is washable, so less waste to go to landfill. 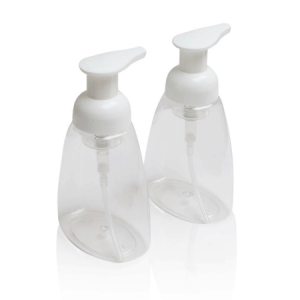 I make my own non-toxic foaming hand soap and sink dishwashing soap using these BPA-free foaming hand soap bottles, along with Dr. Bronner’s Castille Soap. I mix 1 part castille soap to 3 parts water. I also add in about 6 drops of orange essential oil and peppermint essential oil. Feel free to use whatever essential oil scents you love most! What would you use in your laundry if you dont put clothes in the dryer, I usually hang dry our clothes and find they’re not as soft? Hi Sabrina! Good question! I’ve never hung dry laundry. I use my dryer and that keeps them soft and fluffy. Hang drying always seems so stiff! Wish I had better tips for you. I’m sure there are solutions for toxic free fabric softener online! 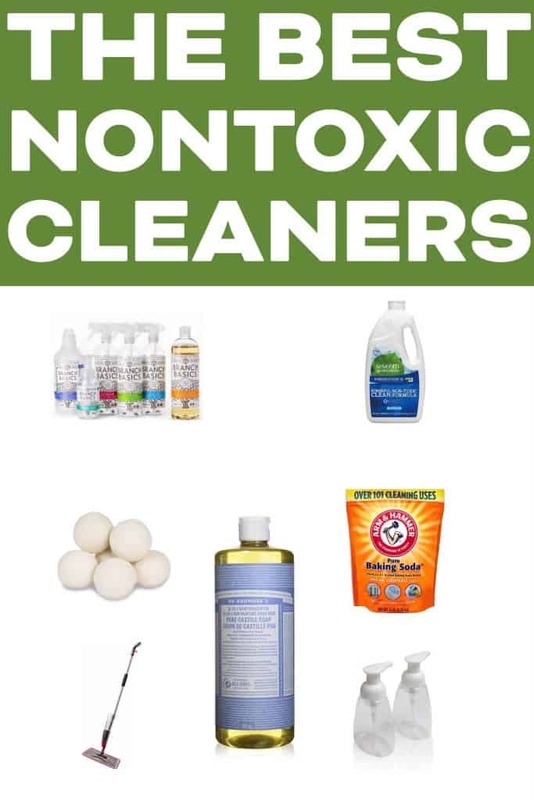 This is a great list of non toxic cleaning products. Thanks a lot for sharing these, got the idea on what to use as my cleaning materials. Great article.